^ Sragow, Michael (1994). “An Art Wedded to Truth”. The Atlantic (University of California, Santa Cruz). http://satyajitray.ucsc.edu/articles/sragow.html 2009年5月11日閲覧。. Biswas, M, ed (2006). Apu and after: Revisiting Ray's cinema. Seagull Books. ISBN 978-1-905422-25-8. .
Cooper, D (2000). 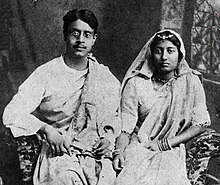 The Cinema of Satyajit Ray: Between Tradition and Modernity. Cambridge University Press. ISBN 0-521-62980-2. http://assets.cambridge.org/052162/0260/sample/0521620260WSN01.pdf. .
Dasgupta, C (1996). The cinema of Satyajit Ray. Penguin India. ISBN 0-14-024780-7. .
Ganguly, S (2001). Satyajit Ray: In search of the modern. Indialog. ISBN 81-87981-04-0. .
Mitra, S (1983). 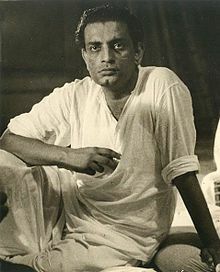 “The Genius of Satyajit Ray”. India Today. .
Nandy, A (1995). “Satyajit Ray's Secret Guide to Exquisite Murders”. The Savage Freud and Other Essays on Possible and Retrievable Selves. Princeton University Press. ISBN 0-691-04410-4. .
Nyce, B (1988). Satyajit Ray: A Study of His Films. Praeger Publishers. ISBN 0-275-92666-4. .
Ray, S (1993). Our films, their films (3 ed.). Asia Book Corp of Amer. ISBN 0-86311-317-6. .
Ray, S (1994). My Years with Apu. Viking. ISBN 0-670-86215-0. .
Ray, S (2005). Speaking of films. Penguin India. ISBN 0-14-400026-1. .
Robinson, A (2003). Satyajit Ray: The Inner Eye: The Biography of a Master Film-Maker. I. B. Tauris. ISBN 1-86064-965-3. .
Robinson, A (2005). Satyajit Ray: A Vision of Cinema. I. B. Tauris. ISBN 1-84511-074-9. .
Rushdie, S (1992). Imaginary Homelands. Penguin. ISBN 0-14-014036-0. .
Santas, Constantine (2002). Responding to film: A Text Guide for Students of Cinema Art. Rowman & Littlefield. ISBN 0-8304-1580-7. .
Seton, Marie (1971). Satyajit Ray: Portrait of a director. Indiana University Press. ISBN 0-253-16815-5. .
Wood, R (1972). The Apu trilogy. November Books Ltd. ISBN 0-85631-003-4. .